Excellent old folky working Ice Fishing Spearing Decoy, 6 1/2″ long. 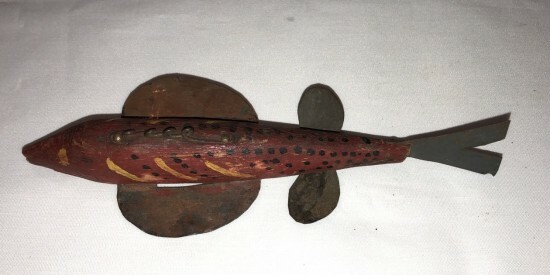 Original red painted body with yellow and black painted details. Nicely done original tin fins and tail. Belly weights have been modified with use to improve action. From a Texas collection.